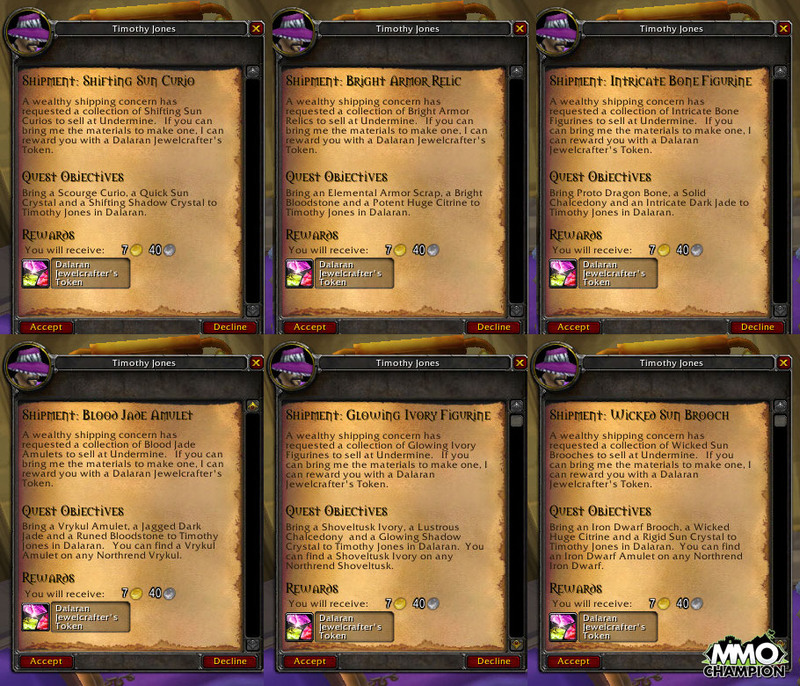 Have you ever played an MMO like World of Warcraft or Final Fantasy XIV and came across a point where they required you to repeat a set of daily quests to get tokens, of which after collecting a month or two’s worth of tokens you get to trade them in for shiny high level items, custom alternative-costumes for your character, or a new creature to ride. You start off energetic, thinking that it’s only 15 minutes a day, which won’t be that hard to burn through , right? Then day-10 rolls around and you’re utterly bored of having to repeat the same three to six quests every day since it turned into tedium instead of being engaging? You repeat it for a few more days and you feel like you’re ready to drop the game out of burnout. This highlights a difference in how we make decisions based on our current context. In this case, making the choice long before I felt the tedium of doing the same task everyday vs when I’m stuck in the middle of investing my time to get half way to the end and knowing that I still have another half to go of doing the same thing. A different illustration comes from competitive gaming. League of Legends, Street Fighter, Smash Melee, Overwatch. Anyone that plays these games can tell you firsthand that half of getting better comes from the training you put outside of the game. That training comes from exercising your reflexes and learning how to read a situation, but competitors can tell you that reading a situation while in the middle of a game is a whole lot different than reading the situation from outside of the game. Inside the game, you’re playing a reactionary game because actively-splitting your focus on reasoning why people would make certain decisions based on your decisions means that you aren’t giving focus to reacting. Most of the time, knowing how someone else will play based on your movements comes from developing your instincts, which means that the only analysis that you can do is to either play out enough matches to develop corrected instincts or to take the study offline and analyze why a play went the way it did so that you can learn to recognize it without the added stress of playing a reactionary game. This second scene highlights how reactive decisions might be different from ones that can be made with more contemplation and forethought. Its these two dipolar systems for which we make decisions that get us into making irrational decisions. Not anything new, though. They’ve been studying this academically for a while. Jonathan Evans hypothesized about the heuristic(the reactive, fast processing)-self and the analytic(contemplative, slow processing)-self back in the 1970s and Daniel Kahneman talked about the two-executive systems , the intuitive-subconscious decision system (System 1) and the reasoning-conscious decision system (System 2). Both philosophized that our decisions are a victim to these domains, of which don’t always have the right-results as they frame themselves with different intentions. In some sense, the reactive-intuitive system can be considered the passive one as it’s the one dealing little with active inflection and weighing of choices but instead uses cues for shorthand assumpions, while the conscious-analytic system is making active choices based on a more holistic perceivable contexts. These two systems affect how we react to a large degree; and manipulating our situation, the context in which we make decisions, affects what choices we actually decide to make. For example, here’s a study on how people react when something as innocuous as a smell permeates the air. People walk around in a mall during the day set and tracked during different days. On one day the experiment group had smells of freshly baked cookies or freshly brewed coffee being pumped into the mall. The experiment came to this: if you came across someone else who was shopping and they dropped all of their recently purchased boxes and bags, would you go help them? This study also shows that our decision making can be influenced by things that are completely unknown to us, changing how we would act in a situation, with something as simple as a scent in our surroundings changing our likelihood to behave a different way. If you were to look at a package of brown pudding, how do think it would taste? If I were to give you a cup of warm coffee, how do you think you’d feel afterwards? Hold onto your answers for a few paragraphs. Looking at the brown pudding and the warm coffee, you probably have some expectations on these things. The smooth, silky cream of the pudding and the slightly bitter, slightly earthy coffee are probably parts of them. But do you think the brown pudding would taste like chocolate? Do you think that the warm coffee would perk you up for a few hours? Now, wait a minute. Why would they say that the brown vanilla-pudding tasted like chocolate? A different study by Dawkins et al. in 2011 studied the coffee scenario but experimented with some of the coffee being decaf. Just like the brown pudding experiment, they asked how the participants felt to which both sides said that they felt energized from the caffeine. In fact, if you checked their blood and heart rate, both sides’ bodies exhibited the same physical characteristics of having caffeine in their system. Just like the brown vanilla-pudding experiment, why would the decaf coffee make the participants believe that they were on caffeine to the point where their bodies reacted as though they were on caffeine? The answer to both of these is that regardless of what we actually receive, what we expect to happen causes us to perceive that it is happening. In the case of the brown vanilla-pudding, we thought it was chocolate so we will probably think we’re tasting chocolate. In the case of the coffee, we thought it was caffeinated so our bodies prepared itself for receiving caffeine. But why is this important? Because it shows that our expectations, while subconcious, affects our experiencing of a thing. Games and the companies we associate with them are no different than the brown vanilla pudding (if you’ve skipped the previous section, this is going to seem like a really weird metaphor). Like the brown vanilla pudding, when we look at companies that back games we develop automatic expectations about the game. These automatic assumptions that are developed by associating a game with a company give the game a higher perceived value because they trade an expected social currency, the goodwill from previous games associated with the company. A mixture of fandom and expectations. 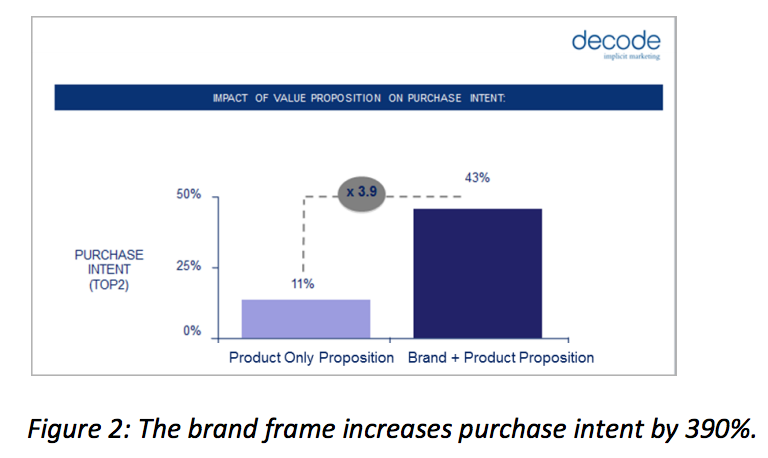 To illustrate this, there was a study done by Decode Implicit Marketing that found that, at least for telecoms, when trying to roll out a new product there’s a 4x increase in perceived value for the new product because it’s tied to a well known brand. This is at least one of the reasons why it’s important for a game to be tied to a company so tightly and why it’s important to be associated with them in these gaming press conferences. If you’re a new IP (Intellectual Property) or even an established one, having the higher expectations in the quality of the game gives the perception of a higher valued game, meaning that you’re going to get more buzz, more sales and more players. Being tied to an existing brand is also a large reason why new IPs are rare in the high risk AAA market and less so in the indie market. If you can develop the same game under an already established brand, why not capitalize on the people who might perceive the game better than it is? It might even turn out to be a good game? Nintendo is notorious for leveraging old IPs instead of risking new ones with new characters. Kirby’s Epic Yarn originally being “Fluff of Yarn”, Super Mario Bros 2 more famously starting as “Doki Doki Panic” in Japan, Square rebranding Final Fantasy Legend from the first SaGa game. I know that I gave Kirby’s Epic Yarn a good look the first time I saw it for the main fact that it had Kirby as its mascot and the yarn aesthetic and interactive kid’s storybook interactions played a strong second place finish to me having an affinity for Kirby games. That doesn’t mean that being tightly coupled to a brand will get you into the millions of sales, but it matters when getting gamers to give your game a strong first and second look because we love games with a history and we love games from the companies that we win us over. So what does this all mean? Well, I know that from all of this, I’ll still be excited for many of the games that get showcased during E3, PAX and all of the other big events. I know that my expectations may never get met because the showcase will always be better than the final product. And maybe I’ll still believe in the hype to some extent, but I’ll just have to know what I’m actually hyped about. Is it the hype from what I think the game will be or is it the hype because of the companies associated with the game. Either way, if it’s a good game, it doesn’t wholly matter, right?